I am encouraged by the plethora of recent titles geared toward ordinary, non-art-school folk who are busy but hope to fit art into their day. It's easy to get a bit discouraged about art instruction books. We buy them and feel a burst of pleasure. But how quickly they end up on the shelf where they mildly accuse and remind us that we spent money but did not act. In a burst of tidying this summer (more on that in a future post), I got rid of all those unhelpful guilt-tripping books. Those that remain cheer me up, prompt me to act, and give me a good shove in the right direction. Qualities that these recent titles share too. Art Before Breakfast: A Zillion Ways to Be More Creative No Matter How Busy You Are by Danny Gregory. This small, egg-yellow and breakfast-mug-blue book just asks to be picked up and enjoyed. I've been reading Art Before Breakfast this month and was inspired to fit sketching in, not at breakfast time, but after dinner, as my eldest daughter visited for a week and wanted to read a chapter book aloud after dinner every day to her siblings. It was the perfect opportunity to sketch the objects on the table. Drawing helped me to listen at the end of a long day and the sketches now remind me of her visit. Along with inspiring you to find time to sketch, this book has a week of 15-minute drawing lessons and several dozen practical drawing idea starters. There is a brief guide to adding color and thoughts on taking your sketching adventures further afield. Okay—you've drawn every stick of furniture in your house, every crumpled sheet and half-eaten sandwich. Now for something completely new. The fancy term for it is 'en plein air.' The groovy term is "urban sketching." We'll just call it, I dunno, "going outside to draw." Ready? The Curious Nature Guide: Explore the Natural Wonders All Around You, by Clare Walker Leslie, author of Keeping a Nature Journal. This is a delightful and beautiful book to hold, read and ponder. Less of an instruction manual, more a book of 'wonder at nature' prompts and questions. 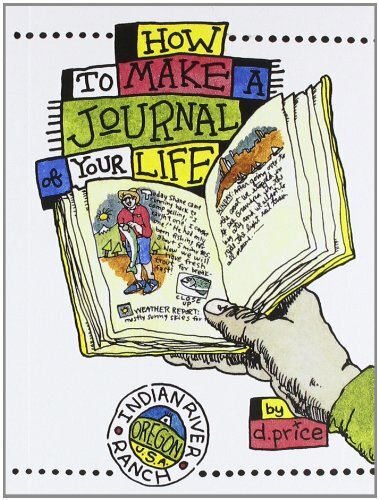 Many of those questions are geared towards helping you nature journal. It also contains astounding mashups of stunning photography and the author's nature journal sketches and brilliant watercolors. I especially like the tactile cover. The paper is smooth but the leaves glossy. A wonderful title to share with children. 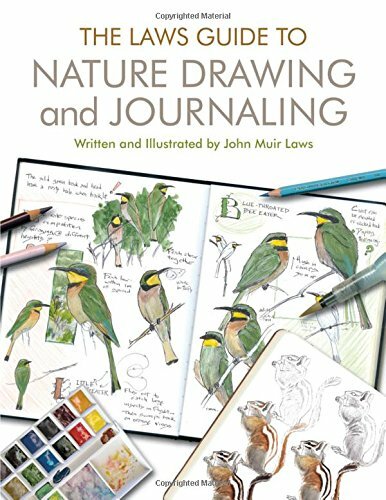 Clare Walker Leslie's popular Keeping a Nature Journal: Discover a Whole New Way of Seeing the World Around You has been a go-to volume on my personal art shelf for years. I find her more scientific approach to sketching to be inviting, encouraging and doable. It passes the "I could do that!" test. So I eagerly added this new title to my art shelf when I spotted it on display at a favorite Boston bookstore recently. These two small, inexpensive books, The Curious Nature Guide and Art Before Breakfast, are roughly the same cozy fit-in-the-hand dimensions and make a good book pairing together. Just saying! Sketch! The Non-Artist's Guide to Inspiration, Technique, and Drawing Daily Life, by France Belleville-Van Stone. Now this is a real-life dose of help. "Until a big truck parked right here and blocked everything" is inked on the unfinished half of the title page's cityscape drawing. Ah, someone with a muddled life like mine! And on the title page! From the first section, "On Being Untaught," through chapters on supplies and basic techniques, "Drawing When Time and Supplies are Limited" and an A-Z of drawing prompts, this is a very hopeful and helpful book. Advice on drawing digitally is also an unusual add-on. When you get into the habit of drawing, you experience the joy of observation and contemplation, not just watching but seeing. While everyone on the train has their head lowered into a smartphone, a laptop, or a tablet, you have yours lifted and you draw. You perceive. You are aware. You don't tune the moment out; you throw yourself in. Dream, Draw, Design My Garden: A Sketchbook for Gardeners, Artists, and Landscape Lovers by English sketchbook artist James Hobbs. The is a book you draw in, with good quality paper and pages of simple line drawing prompts, to which you add as you brainstorm your garden thoughts and ideas. 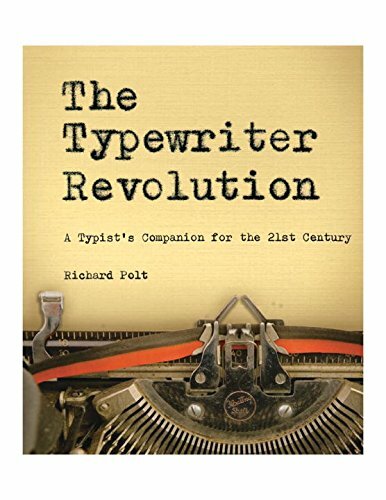 It was chosen as an Amazon Book of the Year for 2015: Editor's Holiday Gift Picks. The aim is not to fill the white space on each page with 'perfect' drawings, or to emulate any style, but to unleash your gardening imagination, to experiment and play your way toward a vision of your ideal garden design. Some pages may lead you in directions you never thought of taking, others may make you change those dreams and ideas. There is no right or wrong here. Drawing is like thinking on paper, and what you create in this book can be the first step toward making those dreams a reality. Sketch Your World: Essential Techniques for Drawing on Location, also by James Hobbs. This title goes into specific and detailed instructions and is illustrated with the work on sketchbookers from around the world. The tools of the trade are thoroughly covered including how to make your own sketchbook, if you so choose. There is a helpful section on drawing speed and finding your own comfortable rhythm, and in-depth profiles of ten Urban Sketchers. There are also sections on drawing architecture, parks, people, creating a travel journal, reportage, drawing at night, and using social media to promote your work. I like the page on dealing with onlookers! Any of these titles will help you choose to enjoy seeing and drawing every day. If you order from Amazon by December 14th, you can take 25% off the already discounted price of one book. Terms, conditions and the discount code can be found by clicking on the link.